I researched the best diet for leaky gut for years. Even before I knew the name for my problem, I read books, articles, and blogs to try and find out what foods I should eat and avoid. Most the books had food restrictions that provided short-term relief, but caused nutritional deficiencies, especially in iron and zinc for me. Many doctors would have diet suggestions when I asked, but nothing helped for the long-term. Even though there’s no easy answer, and each person requires a unique diet, I’ve written this article to share my research through information, options, and the expectations that are sometimes overlooked when laying out a plan for recovery. There are a few methods to start the healing process by avoiding foods that are believed to cause inflammation and trigger negative side effects. Each diet focuses on fresh ingredients, wholesome eating, and cutting out processed and artificial foods. The choice of diet and process will depend in part on what symptoms you experience the most, and which diet you can realistically accomplish alongside your lifestyle. You can find more information in my leaky gut treatment article. Candida overgrowth, excessive bad bacteria, and parasites in the intestines cause inflammation, thus widening the holes in intestinal lining. If you are concerned about having these pathogens, or feel you need to thoroughly cleanse your body because of other toxins or a poor diet, either the Specific Carbohydrate Diet (SCD) or Gut and Psychology Syndrome Diet (GAPS) plan is recommended to kick off a leaky gut diet. Both diets focus on foods that will not feed on excessive amounts of bacteria in the body, and are easy to digest. Foods to eat are essentially fresh or frozen, natural, and additive free. Fermented foods, bone broth, healthy fats, and rich protein sources are allowed. Honey is the only acceptable sweetener. Keep a journal to log what you eat and when the symptoms flare up, as certain high-sugar nutrients–like honey, dairy products, or nightshade produce (such as eggplant) can aggravate the intestines. Foods not allowed are grains, canned or processed foods, unnatural cheeses, and spice powders (usually garlic and onion) that have anti-caking agents in them. GAPS also restricts bean intake and prohibits baking soda. Both diets limit starchy vegetables, such as sweet potatoes and yams, which contradicts other leaky gut diets where these are encouraged. They can be slowly introduced into your diet after at least two weeks, depending on how you personally feel. Both programs have various stages which begin with specific choices and add in more foods over time. Some people prefer to take away foods, backing up until they notice the best relief. Vegetables, both steamed and raw. Broccoli, carrots, cauliflower, leeks, and all squash varieties are especially encouraged. Vegetables may be juiced with ginger and diluted with water to ease digestion and help detoxify the body. Natural meat: no growth hormones, processing, or additives. Avoid any meat from pigs. Note that for those who have Candida overgrowth, die-off effects of yeast are common while on an SCD or GAPS diet. What is die-off? Yeast cells release toxins into the body when it dies, which causes side-effects, including dizziness, muscle pain, fatigue, worsened sinuses, and itchy skin. Extra fiber and water can flush out the toxins, as well. Depending on the Candida overgrowth, some people experience die-off for up to two months, but one day to a week is average. I used Canxida Remove because it helps remove excess Candida, and also reduces–if not all together prevents–die-off symptoms. Even if you don’t follow SCD or GAPS, taking a Candida supplement to help reduce and prevent inflammation is a good idea. The concept comes from what our ancestors ate. Processed fats, grains with potentially harmful nutrients that counteract their health benefits, and dairy were not consumed, and are believed to be destructive to our intestines. Whole, homemade foods are embraced for optimal nutrients and quality. Even when following a Paleo diet, individuals may still have symptoms, such as food intolerances or digestive disorders. Legumes, grains, dairy, all sugars, processed or unhealthy oils, caffeine and alcohol are omitted in a Paleo diet focused on healing intestinal permeability. Omega-3 rich oils (seafood and fish), healthy fats (avocadoes, coconut oil, olives, etc. ), starchy vegetables rich in fermentable fiber (sweet potatoes, yams, etc. ), and bone broth: rich in gut-healing amino acids, are recommended in the diet. People just starting the Paleo diet, especially women, may experience constipation for awhile because it is focused on protein over fiber. Be sure to include yams, bananas, and other sources of fermentable fiber from vegetables, such as Jerusalem artichokes and leeks to balance out the protein. For more information regarding my research and input on the Paleo diet, please see the Grains and Gluten section in my Leaky Gut Prevention article. 1. Remove foods and other items that trigger negative responses, cause inflammation, or may further damage the gut. This is not limited to food, but also includes NSAIDs (ibuprofen, aspirin, and other pain killers), stress management, and healthy eating habits: focusing on the flavor of food, taking small bites, and chewing food into mush before swallowing. 2. Replace your diet with nutrients that heal the gut, focusing on organic whole foods and homemade meals. 3. Repair the intestinal lining and your overall health with supplements, especially probiotics, zinc, l-glutamine, and a whole food multivitamin. 4. Rebalance your system by continuing to supplement with probiotics and enzymes. Continue to be mindful of your diet, eating habits, and stress control. For the initial stage, and to determine nutrients that trigger inflammation and side effects, remove foods individually for two weeks at a time, and then reintroduce into your diet. If you know that you’re allergic to some foods, continually avoid them throughout this process. Cut out and avoid processed foods, or foods with additives, immediately: avoiding these can provide immediate relief for many people. During this diet, be sure to keep a food journal and log what you ate, and any symptoms during each period. The first four foods to remove are Dairy, gluten, soy, and sugar. Added sugars should always be avoided, but during the first stages of elimination, limit natural sugars, such as fruit, to two servings a day, and don’t use honey, agave, maple syrup, or other naturally rich sources. Grains, nuts, seeds, and–in my case–corn are other common triggers to remove and reintroduce for a trial to see how your body responds. While alcohol and caffeine should be avoided at first, small amounts may be reintroduced after 2-6 weeks, as some people find that consuming these drinks sparingly do not trigger side effects. Be aware that there may be exceptions within common trigger foods, such as reacting to conventional, pasteurized dairy which has destroyed most enzymes, yet experiencing no side effects when consuming raw dairy or homemade yogurt or kefir. People who’ve drank sodas and other high-sugar content, eaten fried foods, or practiced other diet patterns that provoke inflammation and are detrimental for overall health, switching your foods can come as a shock. Your body may “starve” for that chocolate bar, or beg you for a binge fest of ice cream because of a tough day at work. You have to be a parent for your body, and tell it that your changes are for the best. Overtime, the gut-brain communication will realign and crave what your body needs versus what it was addicted to. Any diet may be difficult at first, but patience, practice, and determination are key. Once you begin to feel better, you’ll be happy you took those first few difficult steps. Balance your diet with snacks: don’t let yourself become too hungry, as this affects blood sugar and stress levels. If the elimination diet is not providing enough relief, consider switching to a GAPS or SCD diet, or going to a health practitioner to run tests on potential bacteria, parasitic, or yeast overgrowth. The gut will not be able to heal until infections have been eliminated. See my article for more information on available tests for pathogens and leaky gut. For any diet, supplementation is important to reset a healthy gut, promote the healing process, and provide nutrients that may be lacking in your diet. One important supplement is a good probiotic to support a healthy immune system, balance bad bacteria, prevent Candida overgrowth, and promote healthy digestion. Enzymes are important as well, as they help break down food to prevent bloating and encourage proper nutrient absorption. 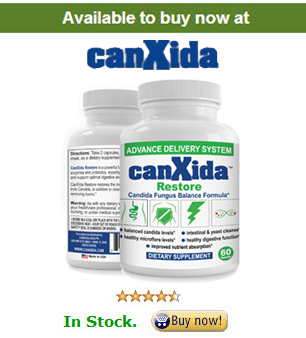 Check out Canxida Restore, which has both probiotics and enzymes to support intestinal health. I have written separate articles on leaky gut foods to eat, which includes supplements to add into the diet, and foods to avoid. Some of the foods listed in both sections contradict the above diets, however much of healing your gut involves trial and understanding your body. My name is Lisa and this blog is dedicated to leaky gut, I had it for years and I healed myself, I hope I can help you get your health back. Learn what is leaky gut, the history and what the current experts have to say about it. Learn what are the common and not so common causes of leaky gut. How to know if you have leaky gut or not? Complete list of signs and symptoms. List of possible tests and diagnosis you can do for leaky gut. Learn how to prevent from getting leaky gut. Find out when is the right time to see a leaky gut specialist. Learn how to treat leaky gut in 7 easy to follow steps. Learn what can happen if you leave leaky gut untreated. © MyLeakyGutSyndrome.com – All rights reserved. The material as well as pieces of information are designed to help and assist, not substitute, the relationship which exists between you and your physician.